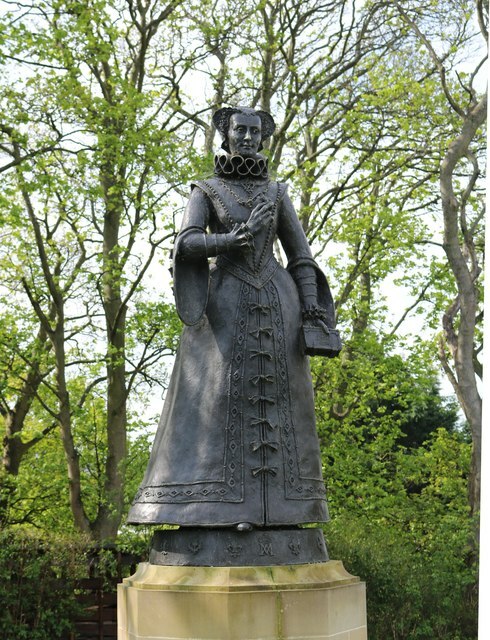 Standing in the grounds of Linlithgow Palace is this statue of Mary, who was born there. She is the 11th great-grandmother of HRH Queen Elizabeth II. © Copyright Bill Kasman and licensed for reuse under this Creative Commons Licence. The Lion dexter on the Royal coat-of-arms is not 'unusual', rather it signifies proper usage in Scotland. See http://en.wikipedia.org/wiki/Royal_coat_of_arms_of_the_United_Kingdom .